So here, I decided to pair my favourite loose fitted shirt with my trusty denim jeans. The loose shirt allows ventilation, so you won’t get too hot and sweaty while being out in the sun, as well as keeping you slightly warmer when a breeze comes along. 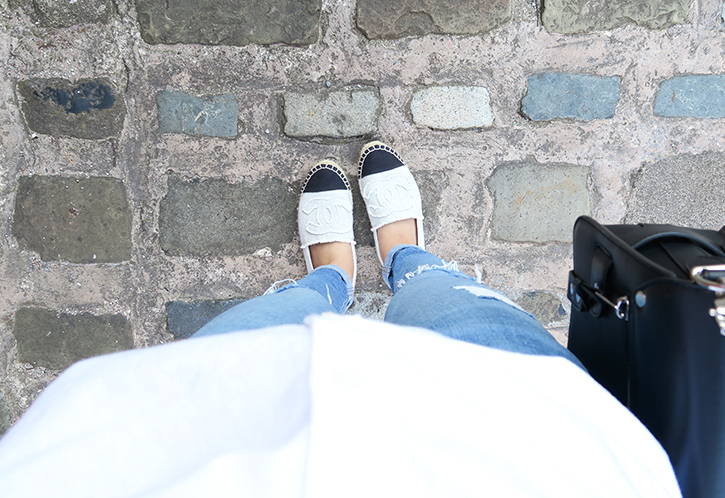 These pair of jeans are my first ever ripped denim jeans, and it has been one of favourite items to go for when looking for a effortless and casual look. Even though the shirt is loose fitted; the ripped jeans reflects a more comfy and laid back vibe to the outfit. Using a cross body bag is more ideal when going out for errands etc.. a great way to keep your hands free! Even though I’m more into bigger bags (totes, shoppers etc) and this is probably the first cross body/small bag I’ve owned since my teens, it’s so much smaller than what I’m used to, but it limits me to what I put in the bag (basically I’m the type of person to bring my whole life with me in my bag on a day out and for no reason), and because of this, I am not carrying so much ‘junk’ around with me therefore making it a lighter bag and a happier me! Did you guys enjoy this outfit post? 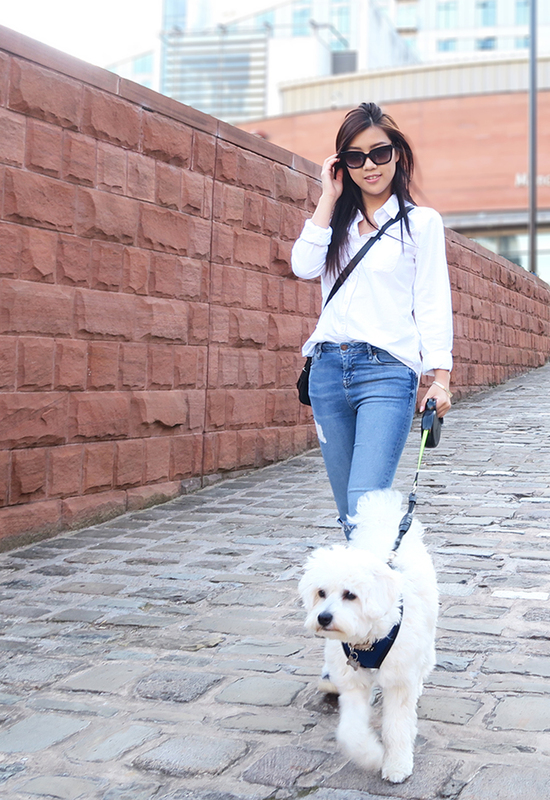 Simply doing errands or walking your dog, theres always time to look stylish without even trying! A simple Tee and Kicks will also look great, as long as you pair it with great Confidence and a Smile! Show me your Off Duty looks! Share with me via Twitter or Instagram! Girl, you have the shoes I have been wanting for so long! Are they comfy? You look so lovely – casual yet classy! Those shoes really bring the effortless yet stylish vibe to your outfit. Are they navy or black? I much prefer this material than the leather ones!